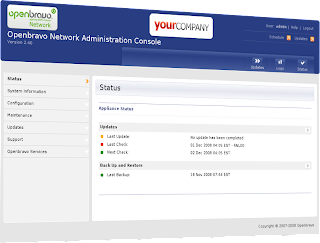 Some weeks ago, we announced the availability of Openbravo SMB Network 2.40, the professional subscription service for Openbravo ERP 2.40. Openbravo SMB Network 2.40 is now the recommended choice for SMEs who want to deploy Openbravo ERP for production use. For more details, you can read the complete release notes for Openbravo ERP 2.40. Existing Openbravo Network subscribers can migrate their systems to the latest Openbravo ERP release and receive support with he same level enjoyed in the previous release without the need to pay additional fees. However, it is important to notice that the upgrade process will require a development project that clients will need to contract to their system integrator of reference on the basis of the need to update custom code developed for them. Therefore clients should only upgrade to the latest release if the new functionalities available offer an immediate return on investment. Go Professional! Buy Openbravo Network.